Smoothies are a quick and delicious way to give yourself a refreshing pick-me up at any time throughout the day. They can be a simple duet of frozen fruit and soy milk or an elaborate blend of several fresh ripe fruits juice, milk, vanilla, and peanut butter. Smoothie combinations are endless, and the basic directions are simple: In the blender, whip up 1 to 2 cups of fruit, a cup of liquid, and maybe a teaspoon or two of a flavoring and/or sweetener. Let the suggestions below inspire you, and your smoothies will be thick, frosty, and refreshing. Refrigerate any extra and stir or re-blend if needed. You know you should eat breakfast. But what if you can’t face solid food so early in the day? Try drinking a smoothie as your morning meal. This smoothie is easy to make and easy to consume. You can even take it along to work to sip on the commute or at your desk. Southern Banana Pudding is the ultimate dessert comfort food. It is rich and creamy, with the subtle flavors of banana and vanilla. Living down south for the past few years now, I have embraced the cuisine and on the hunt for the most delicious dishes. 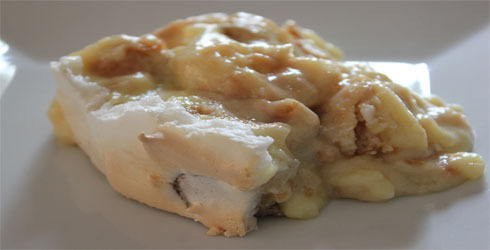 Banana pudding is a great way to use up those bananas before they go bad. Sometimes I will make a banana bread, but, this is my favorite way to make quick use of ripe bananas. This fresh Strawberry Rhubarb Pie recipe comes from my Great Aunt Joe. She lived in Nicholville, NY, and always grew her own rhubarb, making the most delicious pies. I loved when we would visit her in the summertime, she always seemed to have a fresh pie ready to eat. 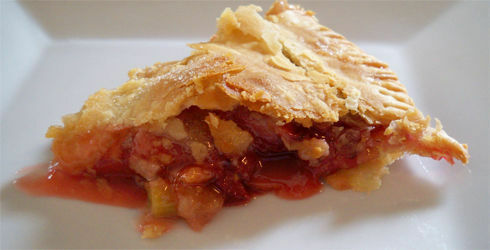 Strawberry Rhubarb Pie is a sweet dessert, perfect for summertime when everything is in season. 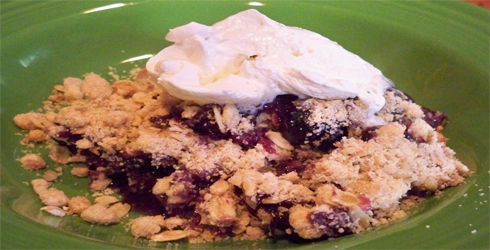 Blueberry Crisp is one of my families favorite fruit dessert recipes. It is great for summertime when blueberries are in season and extra delicious. Super easy to put together, Blueberry Crisp is perfect to bring to potlucks or picnics. This recipe makes 12 servings, but it will go fast. You can also halve the recipe without too much effort, the nice thing about a crisp is that unlike other desserts, measurements don’t have to be exact. 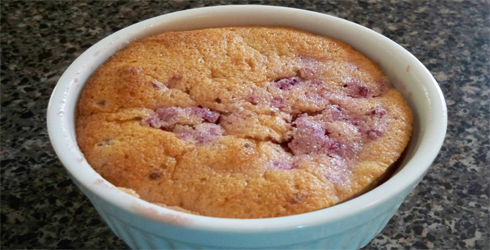 Raspberry Pudding Cake is a delightful little dessert, full of fruity flavor and easy to put together. When they bake, pudding cakes magically separate into a cakey layer and a custardy pudding layer. 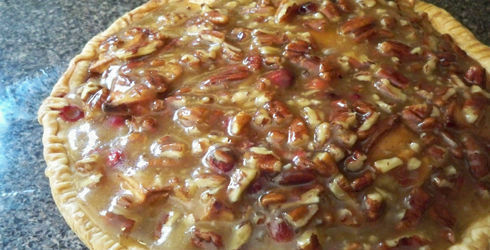 This old American dessert classic has re-emerged in recent years to the joy of many. Every year around this time, cranberries can be found all over. I have a tendency to use the plentiful cranberries in everything I can think of, because I think they are terrific. 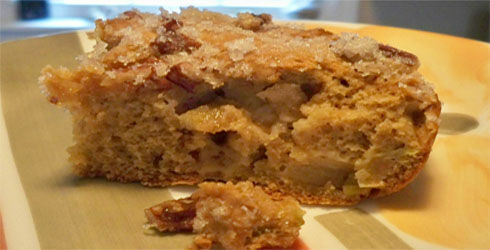 Cranberry Apple Pie with Sweet Walnut Topping is nice little alternative to the traditional apple pie. The topping is my favorite part, it is like candy coated nuts, but to the max! Even with two cups of cranberries, this pie is sweet and the tart really helps control that, keeping the sweetness just right. Cooking with foods that are in season is one of the best things you can do. Not only do vegetables and fruits taste so much better, packed with flavor, but you can get them from local farms. This helps your local economy and the environment, and provides you with the best tasting food you can ever imagine. The fall harvest gives us some amazing squash, and pumpkin is one of them. Pumpkin is extremely versatile, and can be used in many more recipes then just pie. Scallops and Vegetables with Citrus Soy Sauce hold a special place in my heart. This is one of the first meals I made my husband when we had first started dating. 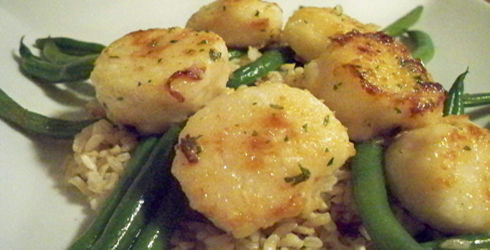 I love scallops, they are tender and sweet jewels from the ocean. This dish is great for entertaining, and is sure to please even the biggest seafood skeptic. There are many, many recipes for pound cake, but The Hungry Wife thinks we have the very best – rich, buttery, dense, and finely textured. 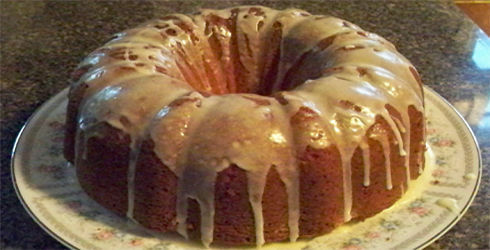 Here at The Hungry Wife, we love to make and eat a wide variety of pound cakes, all adapted from a recipe we found in Family Circle magazine for a pound cake that won a blue ribbon for Mrs. McCollum at the Rockingham County Fair. Our hats off to you, Mrs. McCollum, wherever you are! 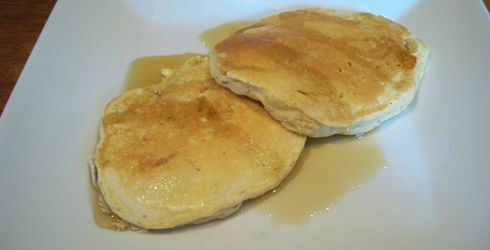 Oatmeal Banana Pancakes are a great weekend morning treat. These are fairly sweet, so you may prefer a fruit topping on them rather than syrup, although good maple syrup is mighty fine on them, too. Sliced strawberries with a light dusting of confectioners’ sugar is one of our top choices, providing a lovely balance of flavors. 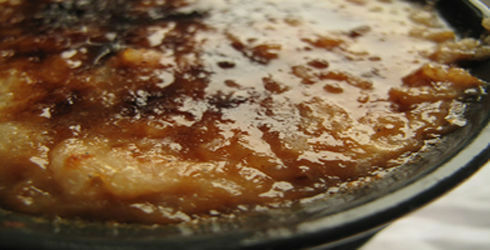 Rice Pudding is one of my ultimate comfort desserts. I love sprinkling bowls of Rice Pudding with cinnamon and curling up to savory every sweet bit. Horchata Rice Pudding tastes very similar to the traditional pudding I grew up with, but with a little something extra. Horchata is actually a traditional Spanish and Latin American beverage made with ground almond, sesame seeds, barley, or rice. Because this Rice Pudding recipe is made with almond milk and rice milk, we call it Horchata. Yogurt Tahini Dressing, along with brown rice, tofu, and miso soup crossed over into mainstream cuisine about thirty years ago and never left. To make a delicious lower-fat version, just use nonfat yogurt. 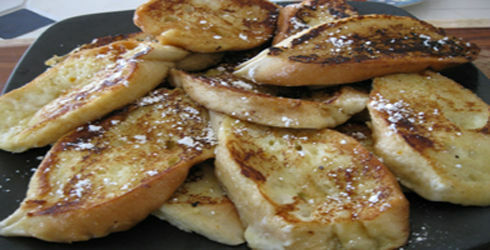 French toast is called Pain Perdu, or “lost bread,” because it is made from stale bread. What makes this Pain Perdu Breakfast different from regular French toast, is that it is a way to reclaim stale bread; hard bread is softened by dipping in a mixture of milk and eggs, then deep fried. The bread is sliced on a bias and dipped into a mixture of egg, milk, sugar, cinnamon, and vanilla. The slices are pan-fried in butter and traditionally served dusted with powdered sugar and with jam on the side. Alternatively it may be served with syrup. This Creamy Squash Casserole recipe was made in an effort to use up all of my yellow squash supply. Just like all the zucchini we have been getting from our CSA and our own garden, we have and overabundance of yellow squash. In an effort to do something different with it, I have been searching through all my cookbooks. The researching paid off with the Creamy Squash Casserole. Even though it is called creamy, this dish is not heavy. All the ingredients work perfectly together, Creamy Squash Casserole has an amazing aroma that will have your mouth watering. Rhubarb, I can’t think of anything that brings me back to my childhood more. It may sound a little strange, but I have extremely fond memories of our cabin in the Adirondacks and my Great Aunt Joe whenever I eat it. It always seemed that when we visited my Aunt Joe, she had a fresh, homemade rhubarb pie ready for us, and I loved it. This Sour Cream Rhubarb Dessert is an awesome way to use, eat, and enjoy this unique vegetable. Rhubarb is a vegetable with a unique taste that makes it a favorite in many pies and desserts. It originated in Asia over 2,000 years ago. It was initially cultivated for its medicinal qualities, it was not until the 18th century that rhubarb was grown for culinary purposes in Britain and America. It is often commonly mistaken to be a fruit but is actually a close relative of garden sorrel, and is therefore a member of the vegetable family. Rhubarb is also rich in vitamin C and dietary fiber. It is a cool season, perennial plant that is very winter hardy and resistant to drought. Be sure to serve Sour Cream Rhubarb Dessert warm and topped with whipped cream. This Green Tea Smoothie is another favorite of ours on hot sunny days. Fruit of any color is delicious in a smoothie made with green tea, but at The Hungry Wife we lean toward pale green honeydew, and sometimes we add kiwi, too. Be sure to use a food processor when making smoothies with kiwi: Blenders are more likely to crush the bitter kiwi seeds for this Green Tea Smoothie. This Pasta with Easy Summer Sauce only requires a bit of chopping, and the green beans in the recipe cook right along with the pasta. Here in Columbia, South Carolina it gets hot. Really hot. They call Columbia “famously hot” after all, and they weren’t joking. The temperature is reliably around 90 everyday, and it’s only May. So, what could be better in hot weather than a sauce that needs no cooking at all? Just by adding fruit, nuts, and/or chocolate chips, humble muffins can be transformed into a mutisensory treat, like this Mango Banana Chocolate Chip Muffin. This is actually a pretty basic muffin recipe that leaves plenty of room for creative inspiration; there is endless possibilities to these muffins. I’ve listed some additional delicious variations in case mangos and bananas are not your favorite combination. The streusel topping adds a special touch. It can be stored in an airtight container in the refrigerator for a couple of weeks, so if you anticipate baking Mango Banana Chocolate Chip Muffins regularly, make extra topping and you’ll save time later. 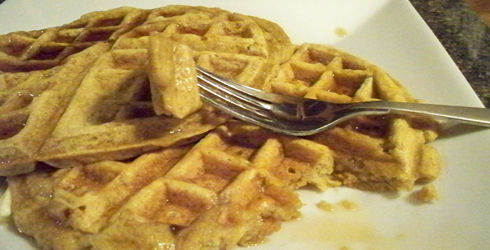 For a vegan variation, omit the egg and use soy margarine and soy milk in place of the butter and milk. Pizza has become a quintessential American comfort food, and this Zucchini & Fresh Tomatoes with Fontina Pizza fits right in. Ever since Italian immigrants started making pizzas in their neighborhoods, it’s been a hit. Now you can find it topped with all sorts of vegetables, cheeses, seafood, meats, and even eggs and fruits. There are pita pizzas, French bread pizzas, English muffin pizzas, taco pizzas, and Hawaiian pizzas. Pizza goes great with soup and salad. It’s often eaten for breakfast and is probably one of the healthiest fast foods you can buy. Unless of course your like me, and prefer your pie with extra-cheese. I love eating this pizza, mainly because I don’t feel bad after eating that extra piece. This nice thing about this pizza is that if you buy pre-made dough, you can make it in a hurry. Want it a little more organic, then try your hand at making your own dough. Until recently, farmers and plant breeders saved the seeds of the most desirable plants from each year’s harvest for the next year’s crop. Gardeners gave their surplus to friends and relatives, and especially noteworthy varieties found their way to seed companies for wider distribution. Today with larger mechanized farms, fewer gardeners harvesting seeds, and more hybrids and sterile seeds, many heirloom varieties have become rare or extinct. This amounts to more than just the old being pushed out by the new. 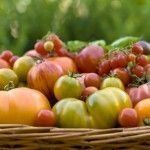 Heirlooms are not the first choice for agribusiness where concerns of perishability, yield, shipping endurance, pest resistance, and appearance are more important than flavor. As more old varieties are lost, we also lose a broad genetic base. This creates a less diverse source of food crops that may not be as adaptable or hardy. What can the consumer do? 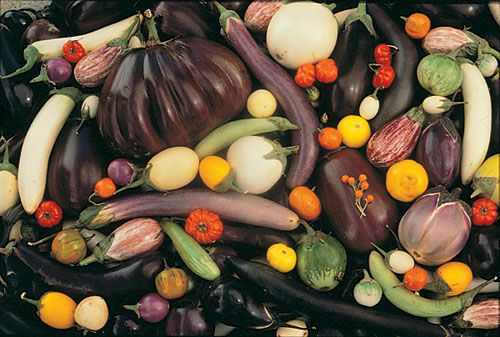 If you enjoy gardening, grow heirloom vegetables yourself. 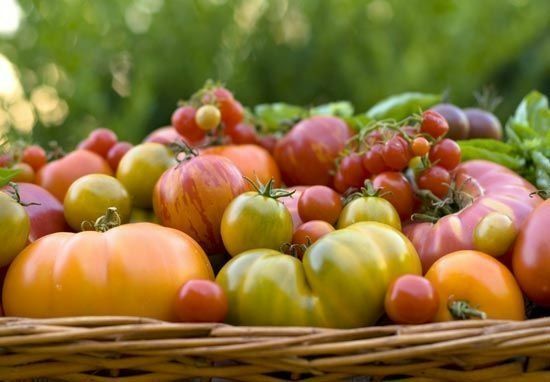 Patronize farmers’ markets and produce stands where farmers label and promote heirlooms. Buy locally grown fresh produce to support growers who can produce a wider range of varieties than what is offered at typical supermarkets. Another option is to join Community Supported Agriculture (CSA) to encourage regional small-scale farms. CSA members buy shares in the produce they will eventually receive. Most CSAs encourage participation, including input on what to grow. For more information, visit www.reeusda.gov/csa. 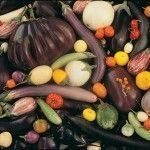 Here is a list of a few favorite heirloom varieties that can be found if you look hard enough. BEANS: Cherokee trail of tears – Carried by the Cherokees on their forced march west to Oklahoma. These are very tasty purple podded beans. Kentucky wonder – A classic green bean, excellent flavor, great fresh, frozen, or canned. Jacob’s cattle – White beans attractively spotted with maroon. Good for all bean dishes, especially soups or baked beans. BEETS: Chioggia – Strong-growing beautiful Italian variety. Horizontal slices show alternating rings of rose pink and white. Nice in salads. Golden beet – Brilliantly colored roots that are also particularly sweet. 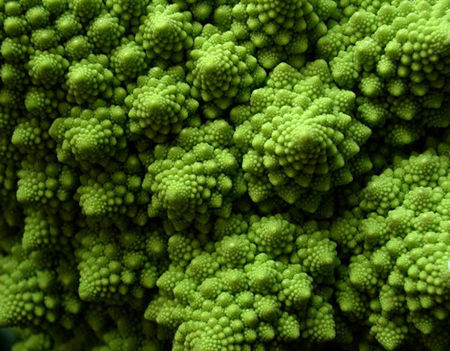 BROCCOLI: Romanesco – Spiraling florets form psychedelic patterns on this nutty-flavored Italian heirloom. CABBAGE: Early jersey wakefield – A very tender and sweet English variety from the eighteenth century. CARROTS: Scarlet nantes – Non-fibrous texture and sweet flavor for all uses, particularly jucies. CORN: Golden bantam – Introduced in 1902, this is still a popular sweet corn for home gardeners. EGGPLANT: Rosa bianca – Delicate flavor, smooth texture, and unusual lavender stripes on a white fruit make this Italian heirloom worth trying. KALE: Russian red (ragged jack) – Brought to North America by Russian traders, this is a favorite variety of a very nutritious cooking green. The flat, violet-veined leaves are milder and more tender than other kales. LEEKS: Black seeded simpson – A crisp, tasty, classic looseleaf with bright yellow leaves. Forellen schluss (speckled trout) – An Austrian heirloom with very tender, light green leaves speckled with maroon. MUSTARD GREENS: Mizuna – A Japanese type that is versatile; baby greens are good in salad, mature leaves cook quickly for soups or stir-frys. Plant has a lovely feathery, fern-like habit. Tatsoi – A Chinese heirloom with deep green leaves on white stalks, similar to pak choi, but smaller. Use like mizuna. PEAS: Golden sweet – Unusual chartreuse snow pea, new to this continent but grown for centuries in India. Eat the pods before peas develop. SWISS CHARD: Five color silverbeet – The flavor of this Swiss chard is not different from the green variety, but the gorgeous color range of red, pink, yellow, orange, and cream range stops people in their tracks. Good in both flower and vegetable gardens as an edible ornamental. SQUASH: Delicata – A nineteenth-century introduction valued today for its dry, sweet flesh. Sized just right for individual servings of stuffed squash. TOMATOES: Amana orange – Huge slicing tomatoes with rich flavor. Combine with other colored slices for festive platters. Black krim – Russian heirloom with full flavor and purplish-red fruits that turn almost black in hot weather. Brandywine – Large pink beefsteak, good for slicing, intense tomato-ey flavor. An Amish family heirloom that has become very popular. Cherokee purple – Tennessee variety reputed to be one of the sweetest. Unusually colored rose, green, and brown. Costoluto genovese – Italian variety good for sauce, juice, fresh eating. Somewhat tart, bright red. 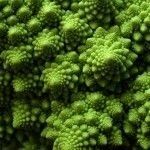 Green zebra – An introduction from the eighties that is grouped with heirlooms because of its appearance and non-hybrid status. Zesty tart-and-sweet flesh that is, not surprisingly, striped yellow to yellow-green. Joya de oaxaca – Mexican variety that is god both fresh and dried. Yellow flesh streaked with pink, orange, and red. Highly flavorful. Mortgage lifter (radiator charlie’s mortgage lifter) – Huge beefsteaks that enabled the breeder to pay off his mortgage by selling the plants and seeds of this exceptional tomato. Yellow Pear – Prolific producer of sweet, juicy small tomatoes that are low in acid and very flavorful. Moosewood Restaurant New Classics, Copyright 2001, Moosewood, Inc., Clarkson Potter, Publishers.